In the years since his daughter Vanessa moved to America to become a professor of philosophy, Alan Querry has never been to visit. He has been too busy at home in northern England, holding together his business as a successful property developer. His younger daughter, Helen―a music executive in London―hasn’t gone, either, and the two sisters, close but competitive, have never quite recovered from their parents’ bitter divorce and the early death of their mother. But when Vanessa’s new boyfriend sends word that she has fallen into a severe depression and that he’s worried for her safety, Alan and Helen fly to New York and take the train to Saratoga Springs. Over the course of six wintry days in upstate New York, the Querry family begins to struggle with the questions that animate this profound and searching novel: Why do some people find living so much harder than others? Is happiness a skill that might be learned or a cruel accident of birth? Is reflection conducive to happiness or an obstacle to it? If, as a favorite philosopher of Helen’s puts it, “the only serious enterprise is living,” how should we live? 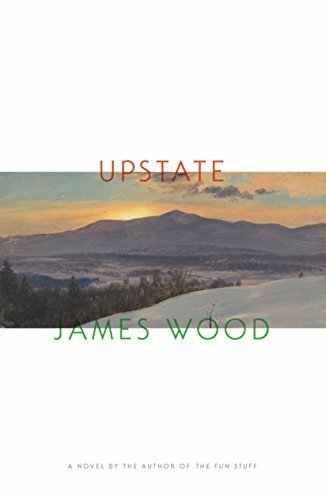 Rich in subtle human insight, full of poignant and often funny portraits, and vivid with a sense of place, James Wood’s Upstate is a powerful, intense, beautiful novel.